Off-grid housing refers to houses that are designed to allow occupants to live autonomously and without reliance on one or more public utilities. They can be self-sufficient in terms of water, power, sewer, gas, or other services. Modular refers to the pre-fabricated construction method of building which saves on costs by comparison to traditional on-site building. 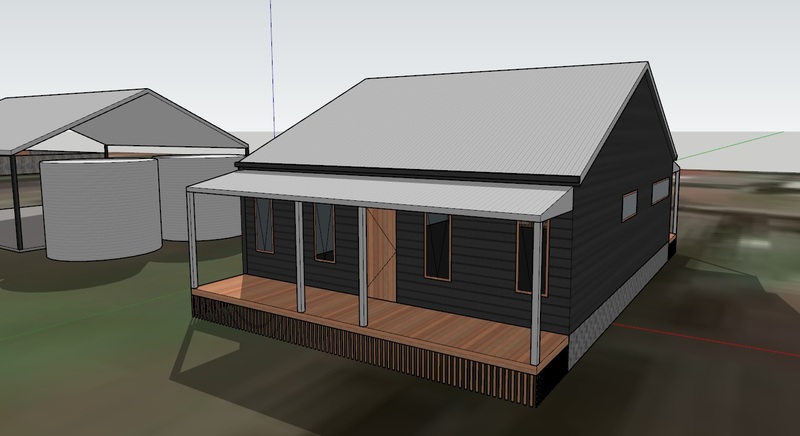 Put the two together and the result is very sustainable and affordable house. It is an exciting time for off-grid housing as all the technology required to power the modern day house now exists on a domestic scale, meaning it has never been easier to go off-grid. GreenForm has developed a simple modular home that is energy efficient, sustainable and healthy. The modular house is put together on-site in two separate sections which are connected together. Although compact, the design is highly considered for sustainability, space, energy efficiency, health and well-being (see our sustainable developments page for more on the construction features). We have developed our own ‘Engine Room’ which we designed to take houses off-grid. The engine room is a complete package that houses the systems required for a fully functioning house. Effectively it is ‘plugged-in’ and the house is ready to function as a modern day home. The engine room can be used for any off-grid modular house. Housing affordability is a significant issue for many and the false pretense is that energy efficient houses cost more. As a business heavily involved in the industry we know this isn’t true, but let’s address this by looking at a simple example. The average household spends approximately $3,000 per year on utility bills. 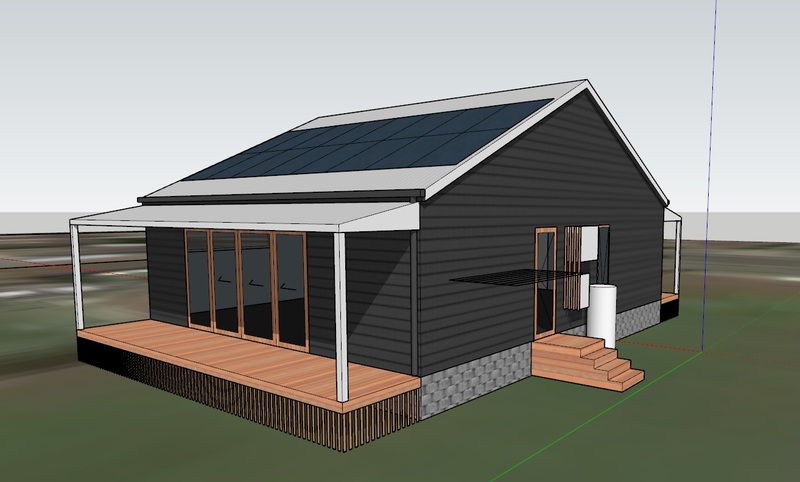 And let it be assumed that all the costs that to go into building an energy efficient off-grid house are additional (in reality they don’t have to be) to that of a standard project home. This cost could be as much as $30,000. And say at a 5% home loan interest rate that this equates to $1,500 per year in extra repayments. This sounds more expensive doesn’t it? However, the $3,000 in utility bills have now disappeared, meaning the homeowner is actually $1,500 better off each and every year (or each and every monthly loan repayment). The house, although more costly to build, has actually become more affordable to own!